Get the right plan, and perfect premium, Your staff will thank you. Finding the right employee benefits plan for your staff or company can be really overwhelming. We’ll listen to your needs, help you understand the available choices, and design a plan that’s perfect for your business and your team. Worrying about their financial future is not good for your employees’ productivity. Employee and group benefits plan is a tool that improves employee morale and enables your company to be seen as a great place to work. As a competitive employeryou attract and retain employeeswhich helps to minimize costs associated with high turnover and potential business loss. You and your employees have access to insurance at a reduced cost, compared to most individual insurance plans. The premium you pay is tax deductible as a business expense. At Majdoub Financial Services, Ontario, we are not only a services provider but also your benefits solutions partner. Trust and expertise are our hallmarks. As the leading financial services advisor, we understand the challenges faced by employers and employees today. We will help you plan the best, customized, all-inclusive, hassle-free solution. If you already have an employee benefits plan – we review and recommend any changes to improve the value. 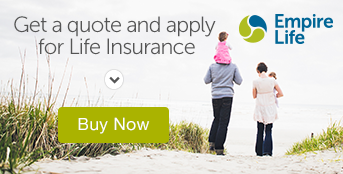 A market survey – a quote comparison from most major group insurance companies. Make recommendations based on their analysis. Facilitate the transaction of any insurance business. Your employees may be a diverse group – young with kids, approaching retirement or middle aged. The employee benefits plan needs to take into account the needs and goals of your employees. Experienced benefits advisors, The Majdoub Group, Ottawa, can help you choose the most appropriate plans. Which is the ideal plan, what should be the budget, should you go for cost sharing are only some of the questions a benefits advisor can help you answer. We customize solutions for you depending on your business size and needs instead of fitting you into a standard plan. We ensure you are confident and satisfied with your employee benefits plan. For more specific information on Employee Benefit Plans contact us at 613-749-4007.